This is such a cool idea, amazingly creative. I also am a collector, my thing is vintage Steiff Teddy bears, dolls, and animals. I blog regularly about my collection (500+) and about Steiff at mysteifflife.blogger.com; take a peek if you can. 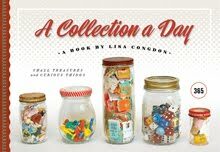 What's so interesting about collecting is that there is always another story to tell!!! I just found your blog. I collect so many things too, beautiful things, useful things stuff from my childhood. It is really interesting so see your collections! Oh this would be fantastic as a print Lisa! wow, i love this one! and as kristy already said: this would be a fantastic print!!! Farala, I say three or more, but that is just me. Plus some of my photos do not show entire collections, just parts. I make the rules for this project fortunately. sorry if it sounded like a comment on your collections!! it wasn't my intention! it was a genuine question and I asked you as an expert collector!! farala and lisa - I've often wondered the same and have concluded for myself that two of anything constitutes a collection, my reasoning being that you have one item it is for practical purposes - you use it until it is used up/worn out/broken, you then throw it away and get a new one - but you have two of the same thing, then you are collecting. wow, this blog is amazing, i especially love the photos of your collections of vintage photographs and old postcards. this drawing is amazing -- i agree with above comments about it making a great print! 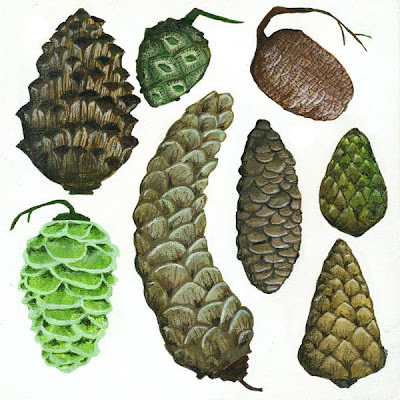 i absolutely adore pinecones, but we don't get many where i live -- sydney is too warm for pine trees. i would like to reblog this picture on my tumblr, if that is okay?